*NOTE* – I have since figured out that this post is only applicable to MATTE PPA. When you mix water with PPA gloss it still works. Only PPA matte messes up when you add water to it. 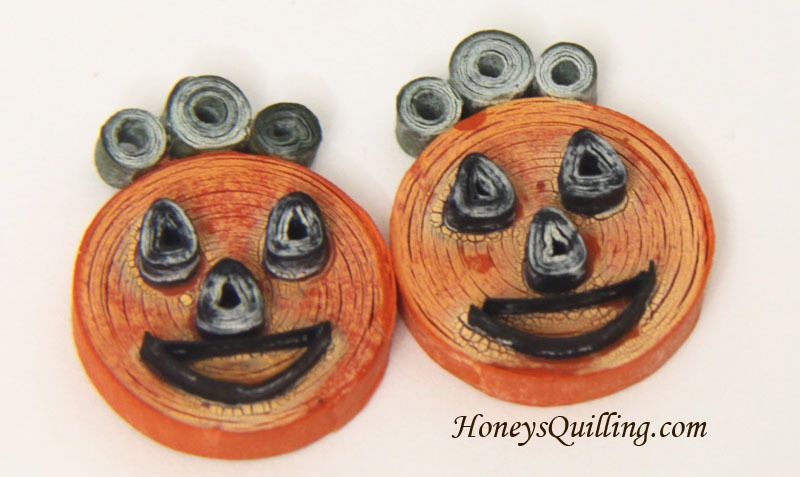 Anyone who has been reading the blog for awhile will know that I enjoy trying different sealants with paper quilled jewelry, experimenting with them, and showing you how to use them. Click here to read all posts about sealant! (see it in this post and this post). 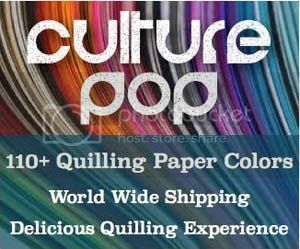 It is a white liquid that soaks into the paper quilling and makes it sturdy and water resistant. I usually like to add either a few coats of this, or use 1-2 coats and then a topcoat for shine and extra water resistance. It has served me well for several years (though there are a few tricks when using it, which I will highlight in another post). **added note** Now I have found a liquid sealer available in the US that works just as well as the liquid matte sealant I used for so long. I thought maaaybe if I diluted another sealant with water to make it liquid, it would work in a similar manner. So I thought I’d start with another absolute favorite of mine, PPA (perfect paper adhesive). Click here to read all about using PPA. I love PPA , I really do. It has so many uses and I use it both as a glue and as a topcoat for sealing jewelry. It has many other craft uses as well! What I did was dilute the matte PPA in a ratio of approximately 1:1 with water (it may have been a little more water than glue, I kind of eyeballed it. 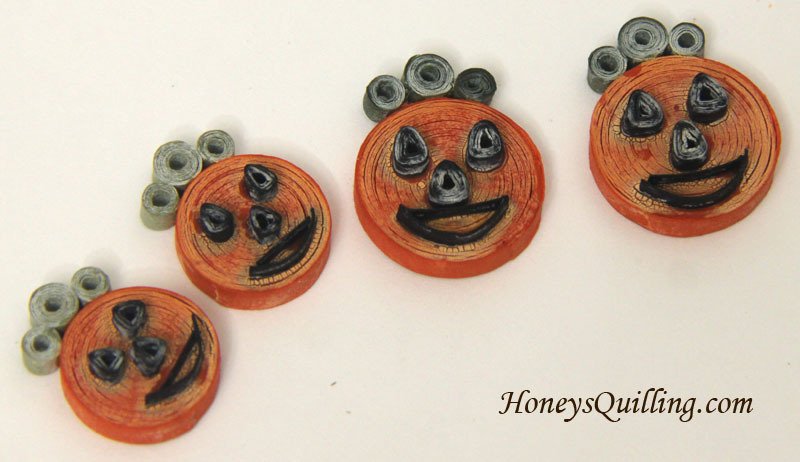 Then I used it just as I use liquid matte sealant by dipping my jack o’ lantern earrings into it, front and back, letting it soak in briefly, blotting on a tissue, and letting to dry on a plastic surface. At first it looked pretty much just like the liquid matte sealant. But once it started drying I knew it was a no-go….. OH NO! As you can see it created a white film all over the surface (on both sides). I have absolutely no idea why it does this, but now I know not to do this! Actually it COULD be kind of a cool effect IF you were looking for a white crackly finish to your piece. Maybe for an old vintage type look? I attempted to dip the pieces into liquid matte sealant after they dried to see if it would improve at all. It made them more sturdy, but they look exactly the same. I feel it’s great to share both successes and failures, especially with my work in sealants since I want to help others find the best option for sealing their jewelry. I still think PPA is one of the best products out there (for both sealant and glue). But it definitely doesn’t work to dilute it with water to get it to soak into the paper. Do you have any sealant successes or failures that were surprises? It’s always fun to experiment even if it doesn’t turn out as desired! 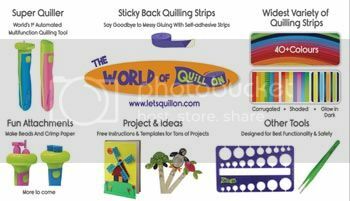 Thanks for the info– I am new to quilling and have had many frustrating “oopsies”…. especially w/sealants and the technique of applying it w/out unraveling or crushing my project. It all looks so pretty and professional on line and yet, mine mostly looks like my 3 year old grandson had a hand in making it. It is especially upsetting when having worked so hard to make an object only to have it disintegrate at the final application. Yes, applying sealants can be tricky! 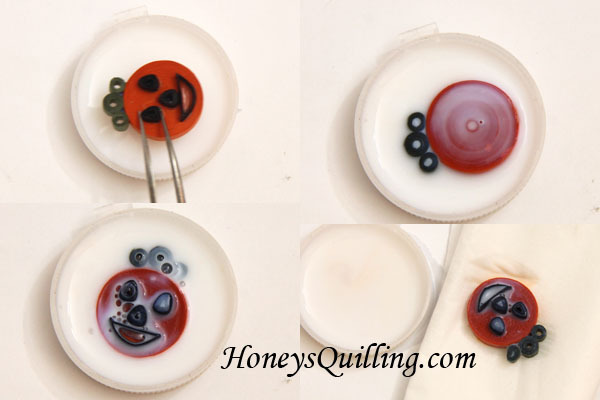 I am planning individual posts on each different sealant to show ways to apply it while keeping your piece looking great. It definitely takes practice! Thank you for all of your great tips. As I said, I am new to Quilling and in my limited attempts, I have disintegrated and unraveled nearly as many pieces as I have successfully completed. I tried to paint on the Mod Podge and it was way to thick for the dendrils and delicate centers and puled the centers out when I lifted the brush. The Stiffen Quick spray, literally melted my piece. I did go to the store today and bought the PPA you recommended and I am anxious to see how it goes. Thanks for all the great tutorials. I look forward to following you and your advice and hopefully can turn out some quality items. Yes, it can be tricky to apply different sealants. For the stiffen quick spray, I’d suggest trying VERY light layers. The liquid matte sealant that I use I used to put in a spray bottle. I’d set all of my earrings in the top of a shoe box, spray lightly a couple times, let completely dry, flip over and spray lightly again, completely dry again, and repeat a couple more times before doing a more heavy coat. With liquid sealants they can easily ruin your piece (unless it’s just made out of solid circles and other pieces like that with no spirals). But if you do very light coats it’ll be easier. You can try using the stiffen quick with a paintbrush as well. Brush on a VERY lightly layer on one side, let dry, do the other side, repeat on each side, and then it should be stiff enough for you to do a heavier coat to get the sealant on the inside more. For the Mod Podge you can use a brush with just a little bit of mod podge on it again to do a very thin layer, let dry, repeat on the other side, etc. Don’t blob on a bunch at once. It takes some practice to see which sealants work best for you. The PPA is thinner than mod podge, but again you’ll want to use just a little bit at a time, not blob it on. Thanks for taking this novice under your wing and your speedy replies and suggestions to my questions/comments. I will continue to follow you and your work. Do any of these sealants change the color of the project? I noticed that the Mod Podge spray sealant and clear nail polish significantly darker the paper. Hi Wendy – some sealants do change the colors, while others don’t. For the ones that I’ve used – liquid matte sealant does darken the paper. But I still use it on almost every piece because I like how it works so well, even if the piece does turn out a little bit darker. The PPA (perfect paper adhesive) does not change the color at all. The crystal coat glaze does not either. I’ve recently started using diamond glaze and 3D crystal laquer – so far they don’t seem to darken the paper either.